When I ask women business owners what the biggest thing holding them back from getting publicity is, the thing that comes up time and again is a fear of putting themselves out there. 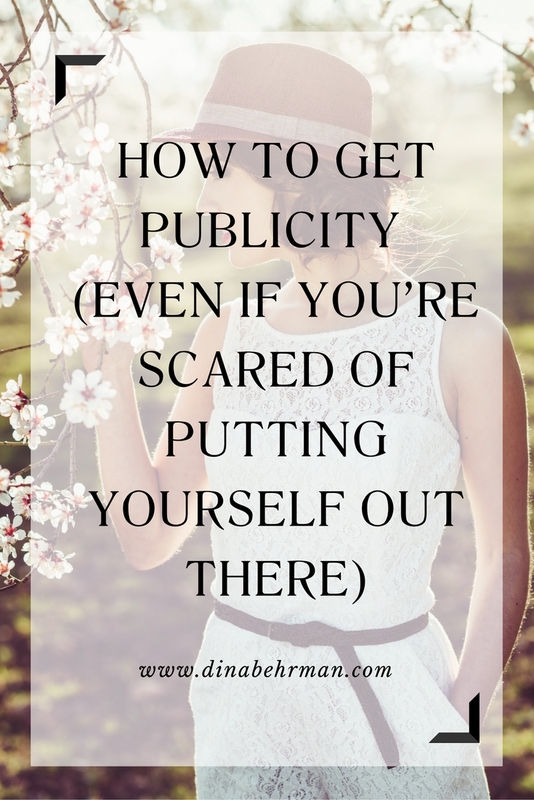 Often people are scared of the idea of getting publicity, because they’re worried about having to promote themselves in used-car-salesman kind of way. Or they’re scared of opening themselves up and showing their vulnerabilities, of sharing their story with strangers. This is something I can totally identify with. I’m definitely on the more introverted end of the scale. I’m really not someone who likes to shout loudly about what I’m doing. And yet, as someone who has seen the huge impact getting featured in the press can have on a business, I know how important publicity is. So it’s something I’ve started focussing on a lot more for my own business, and of course, it’s something I encourage all my clients to embrace wholeheartedly, even if the idea scares them. The good news is, it’s perfectly possible to get publicity for your business in a way that feels good to you. If I could give you one piece of advice when you’re pitching journalists and editors, it’s to come at it from a place of service. Firstly, get clear on why you want publicity for your business. Most likely you have a product or service that can help people, make their lives easier, or bring them joy in some way. Getting featured in the press will enable you to help more people, make more lives easier and bring more joy. So you don’t need to feel ‘icky’ about promoting your business. You’re doing good in the world and need to use the tools you can to reach more people. Following on from coming from a place of service, if you can think about how you can help the journalist or editor rather than how they’re going to help you, you will have a lot more success. Make journalists fall in love with you by helping them out with an expert comment or with some information for their article. Or writing a really useful ‘how to’ piece or a ‘top tips’ guide. Or sharing an inspiring story that you know their readers are going to love. Take action – stop thinking and start doing. 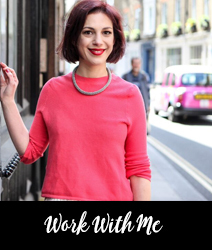 Commit to taking action on one thing this week – writing a press release, submitting a guest article, connecting with a journalist, researching a publication – and JFDI! Business Fame School is opening for enrolment again soon. If you’re ready to overcome your fear of putting yourself out there, click here to join the Business Fame School wait list and be the first to know when the shopping cart opens, plus get an exclusive extended payment plan.